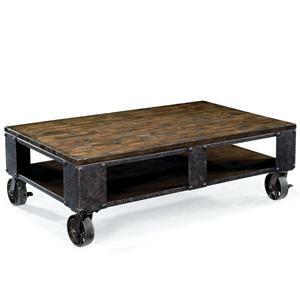 Featuring bottom casters for extended mobility, this accommodating cocktail table presents a wonderful centerpiece for your transitional living room space. 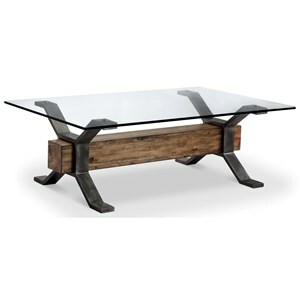 Crafted with Pine solids and veneers, the table includes one bottom shelf and is completed with a weathered charcoal finish. 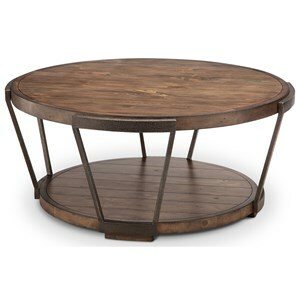 The Milford Rectangular Cocktail Table with Casters by Magnussen Home at Dunk & Bright Furniture in the Syracuse, Utica, Binghamton area. Product availability may vary. Contact us for the most current availability on this product. 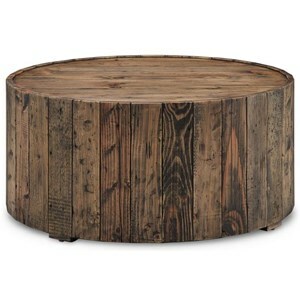 Wood & Finish Weathered Charcoal Wood Finish. Gunmetal Colored Hardware. Case Construction Pine Veneers and Solids. Metal Accents. 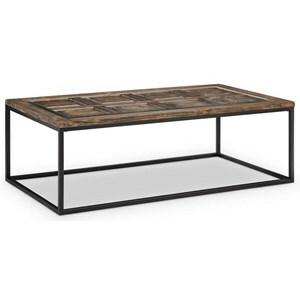 These transitional accent tables will transform your living room space. 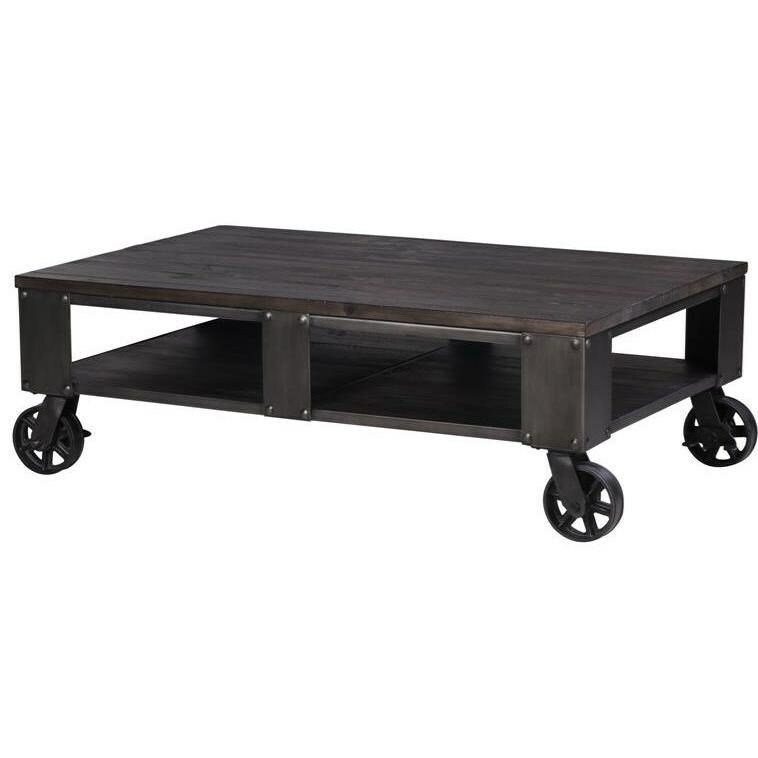 Highlighted by industrial and rustic accents, the pieces feature metal hardware and bottom shelves for extended accommodation. 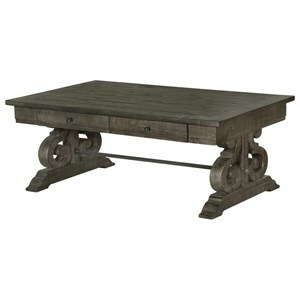 Showcasing a Weathered Charcoal finish, these unique tables will complete your transitional living room setting. 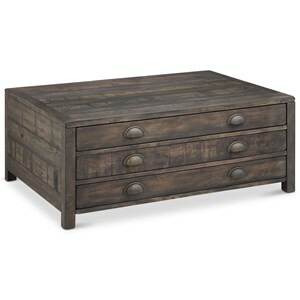 The Milford collection is a great option if you are looking for Transitional furniture in the Syracuse, Utica, Binghamton area. 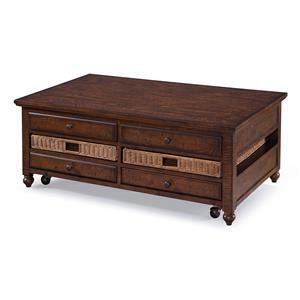 Browse other items in the Milford collection from Dunk & Bright Furniture in the Syracuse, Utica, Binghamton area.